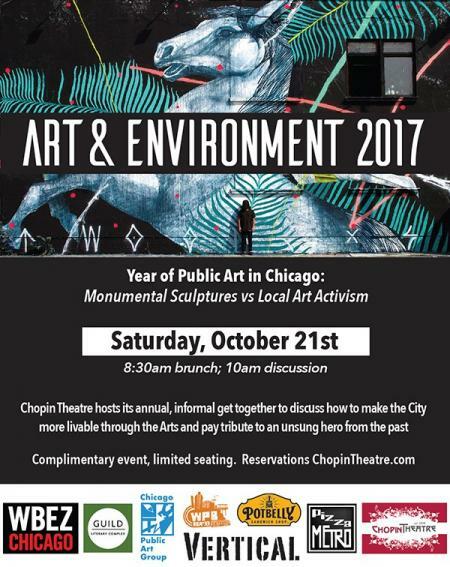 Lisa Wagner of the Guild Literary Complex will be presenting on Public Art and Gwendolyn Brooks in conjunction with the Chopin Theatre and a whole host of amazing artists and thinkers. I hope you will join us there. 10:30 am – Toast and opening of Mural on Chopin Theatre by international street artist Hiroyasu Tsuri. Followed by presentation of his art across 4 continents (Asia, Australia, Europe and now N America courtesy Vertical Gallery). Chopin Theatre is located at 1543 W. Division St, across the Division Stop on the Blue Line.